Recipient of the Federation of Astronomical Societies (FAS) 'Eric Zuker' Award for contributions to Astronomy presented to Paul Money at the FAS AGM/Convention 19th Oct 2002 held at the University of Leicester. 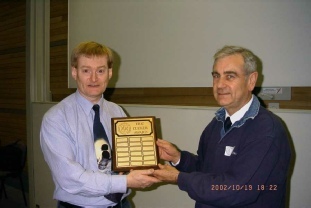 Paul receives the Eric Zuker Award from Malcolm Jones, FAS President at the time. Yes - I was surprised! 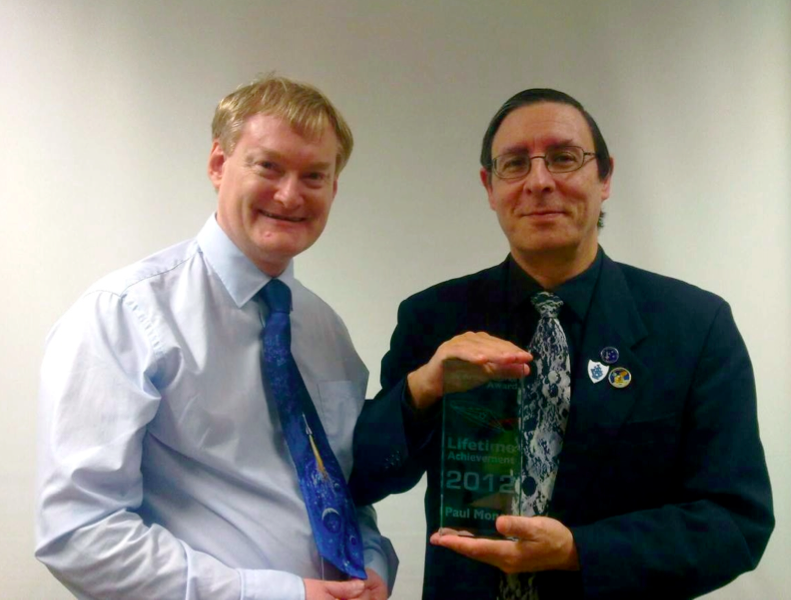 Paul (left) being presented with the award by BROHP founder Jerry Stone.